A GOP operative asked Fox personalities to push a bogus Russia/Seth Rich talking point. Here are four times they did. 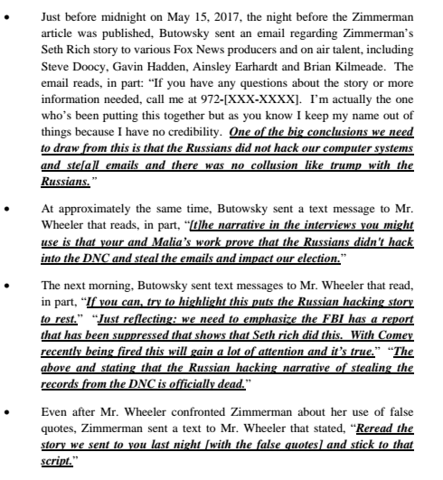 A new lawsuit against Fox News alleges that Ed Butowsky -- a Trump supporter and unpaid Fox News commentator -- concocted Fox News’ discredited story that “Democrats might have been connected to [Seth] Rich’s death,” “which took flight online and ran in segments across” the network. According to the lawsuit, Butowsky worked with the network to plant the story, which claimed that Rich, the former Democratic National Committee (DNC) staffer who was murdered, was in contact with WikiLeaks, which leaked committee emails during the 2016 campaign. 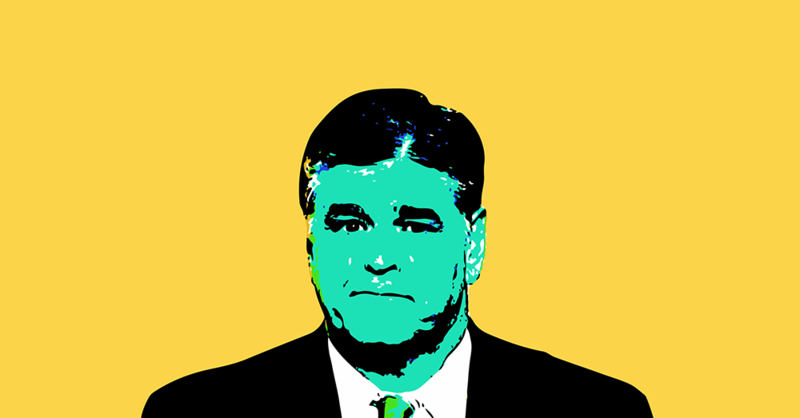 The lawsuit states that in a May 15 email Butowsky encouraged network employees, including hosts of Fox & Friends, to draw the conclusion that "Russians did not hack our computer systems and ste[a]l emails and there was no collusion like trump with the Russians." Butowsky also allegedly sent texts to the Fox News contributor he was working with on this story, Rod Wheeler, which asked him to use the same messaging in his interviews, including in a planned appearance on Fox News' Hannity. Butowsky was apparently hoping to kill reports of the ties between Russia and the Trump campaign. SEAN HANNITY (HOST): Questions continue to swirl around the mysterious murder of DNC staffer Seth Rich. Now, following Rich's death, there was suspicion that he may have been the source of the DNC emails that were leaked to WikiLeaks, now -- not the Russians, as the left claims. Now, if Rich, in fact, was WikiLeaks' source for the DNC email leaks, it would confirm Russia was not involved. It gets more mysterious by the minute. If it was true -- we don't know yet -- if it was true that Seth Rich gave WikiLeaks the DNC emails, wouldn't that blow the whole Russia collusion narrative that the media has been pushing out of the water?